In the first installment of this story, Scorched Earth, I described the situation leading to my being hired at MicroStrategy into an OEM sales role and the problems in overcoming relationships that had been soured by my predecessor. This episode is about the events leading up to my being given 30 days notice of termination and reflects on the changing role of salespeople in B2B selling. 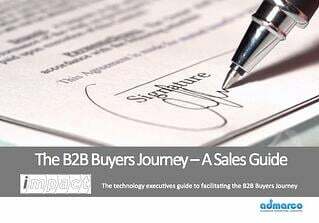 Prior to the Internet, B2B salespeople were the conduits of information for customers. 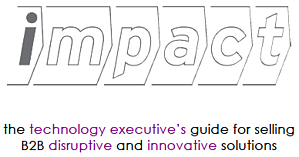 They were an essential part of the landscape in selling complex B2B products and services. Their role however is changing fast, driven by unrelenting productivity improvements and innovation in the way companies buy, market and sell products. I was discussing this point with Adam Zais VP of Business Development at Wistia recently and we agreed that the role of salesperson is morphing into the part-time facilitation of a buying process. 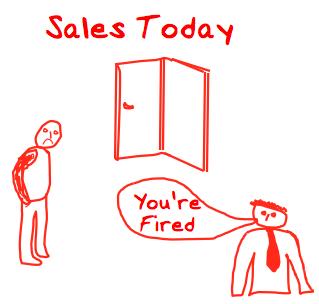 Salespeople are not needed in many cases to sell B2B products. Neil Rackham rightly forecast the end of transactional selling 13 years ago in "Rethinking the Sales Force" and his prescient direction to sales managers to focus their direct sales teams on creating and capturing value for the customer. A preview of The Challenger Sale I believe, echoed in the Value Created and Value Captured Buying behaviors, outlined in the book, Why Killer Products Don't Sell. Prospects can research potential suppliers, identify products and services, download whitepapers, read case studies and peer reviews, configure and price systems and make a business case without ever speaking to a salesperson. 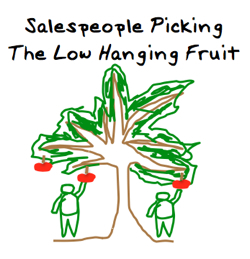 When it does serve buyers to engage salespeople, it is to lower the purchase price. The method is to invite several vendors to a "bake-off" or "beauty contest", where the salesperson's role is to discount the product or service and make other concessions in return for the order. The reverse auction is the ultimate desination for the purchase of commodity products and services and salespeople are not needed for this function. This may sound slightly cynical, but unhappily it is reality. Having arrived a this conclusion, the discussion with Adam turned to where salespeople are actually needed and where they do contribute to the complex sale and the segments in the industry the top-guns will gravitate toward in the future, - for the big commission checks. Adam continued, "I believe that I have a more cynical view....I believe that B2B "sales" professionals are "history" as it relates to "contributing to the complex sale" if that sale is thought of as a "deal" instead of a line-of-business or channel or partnership. I also think that the days of "big commission checks" in exchange for what sales people have done traditionally are over. Here's an example of what I mean: once-upon-a-time I did two deals with telecom companies for a very complex / very technical piece of software. In reality, the sales were made because of my SE....NOT (as much as I hate to admit it) because of anything I really did. Sure, I did some qualification of the prospects and set up meetings / demos and such. But I didn't really deserve to be paid far more than the SE. He could easily have done everything I did. In a nutshell, the company could have saved themselves a shed-load of money, gotten much the same results, and properly motivated the correct person. Again, I really think that variable compensation for the function we still refer to as "sales" needs to end. To my mind, this perpetuates behavior that we should not longer wish to have....too much thinking about the individual (the rep) versus the team / company / etc. I do think that we want the "top-guns" to be attracted to OEM / Channel / Biz Dev. type roles. The complexity of these roles, which is what I think you mean by "the complex sale", DOES require high-end "sales" skills. I believe these are the only sales roles that are appropriately matched to the type of variable compensation plans that generate "big commission checks." Every other "sales" position should only involve variable compensation if that compensation is essentially the same for any other position in a company if that company decides to have such a compensation plan. Oh, and one more thing, the concept of the "Sales President's Club" needs to be confined to the dust-heap of history ASAP! I want to be clear, I am not saying that we should give up on B2B. It's more about what the future needs to look like in terms of expectations on the part of sales professionals, how they should be managed and compensated, and most important how they should be trained." Until the release of MicroStrategy7, the product was probably the largest Visual Basic executable in the BI industry. From a reseller or OEM's perspective it had very low appeal; no API, no SDK, poor documentation and it broke your software with every new release. I felt sorry for our early partners and they certainly let the executive know they were not happy. Clearly, the MicroStrategy product was not channel-ready prior to release 7 and the channel sales model was push not pull. 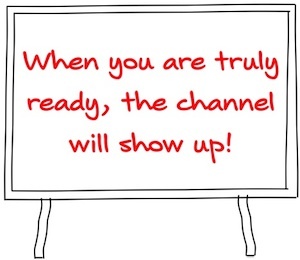 When you are truly ready, the channel will show up. That did not stop the channels team at MicroStrategy from selling it however and Scott Hughes hired a strong team of experienced salespeople to sell it....and they did. Like many well meaning channel sales efforts, the software got sold, salespeople got well compensated and the software sat on the shelf and was never implemented. After 3 years, hundreds of meetings and nothing to show other than a bunch of joint marketing agreements with IBM, Sequent, Tandem and NCR, and a nascent reseller agreement with NCR, frankly I was not surprised that my time was up. My boss Scott Hughes, whom I respected and like, was straight up with me and I recall responding that I understood why and that I would be very adult about it, but I just needed a bit more time as the ship was turning. The ink was barely dry on the reseller agreement with NCR and I wasn't going to let some Johnny-come-lately walk in and reap the rewards of all of my effort. A couple of months earlier I trained the NCR Teradata retail sales team on how to and where to sell MicroStrategy7 and they were generating a lot of activity and were teeing up a couple of 6 figure MSTR sales with their major retail customers. I recall walking into VP Sales, Ray Tacoma's office and pleading for another 30 days, as I knew things were about to change. Within 2 weeks of being put on notice, NCR Teradata came in with a big sale and then shortly after that, another one.